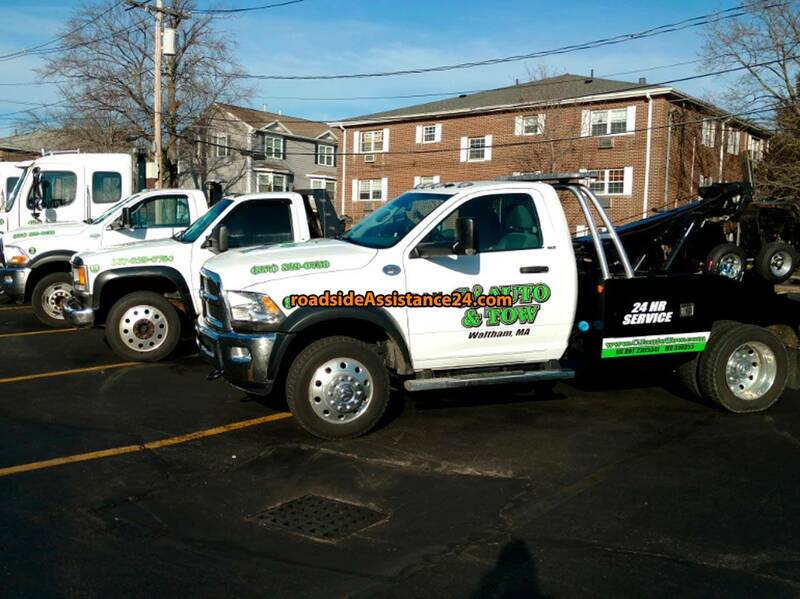 The local CJ AUTO & TOW serves you within 30 minute response time in most areas of Waltham. The closer the cheaper. Call us now! We provide Roadside Assistance and Towing 24 hours a day 7 days a week. We also offer Automotive Repair, Accessories and Installation. Your review helps to choose cheap towing and roadside assistance services near Waltham. Click an icon on the map and get a phone number of the closest wrecker service near Waltham! Install mobile application Roadside Assistance 24 and get the phone numbers of the closest towing and roadside assistance services near Waltham.